Pride of ownership begins here at 179 Alling Street! A lovely ranch situated on a large corner lot with a two car garage and yard accessed on Schultz Road. This well cared for home offers hardwood throughout, 3 bedrooms, a remodeled full bath, a living room with a fireplace and built ins, and an eat in kitchen with updates as well. It is wonderful to have multiple access points into this home whether it be through the front door, or through the generously sized breezeway from front or rear yard, and for additional convenience you can access the breezeway through the garage during inclement weather, or just an easy access point to bring in groceries. 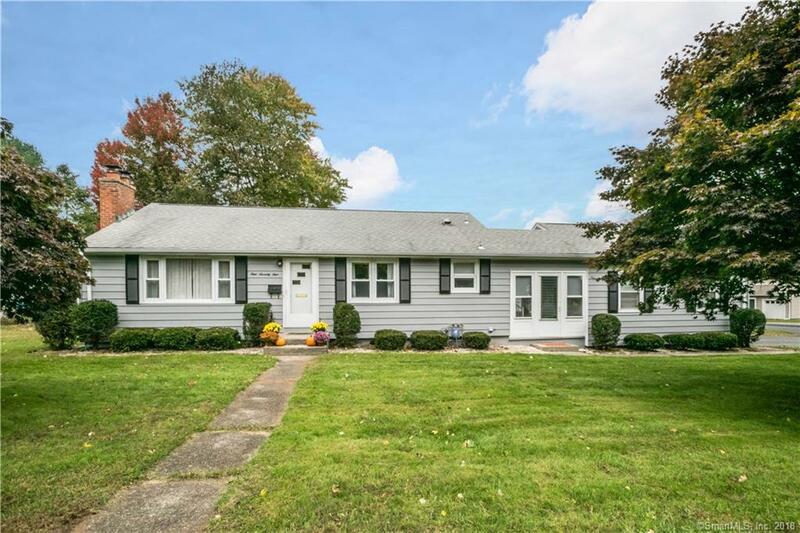 The lower level of this home is heated offering finished rooms whether it be an office/craft room and additional family/recreation room; also an additional partial bathroom. Plenty of time to be settled into this lovely home for the holidays and the new year!